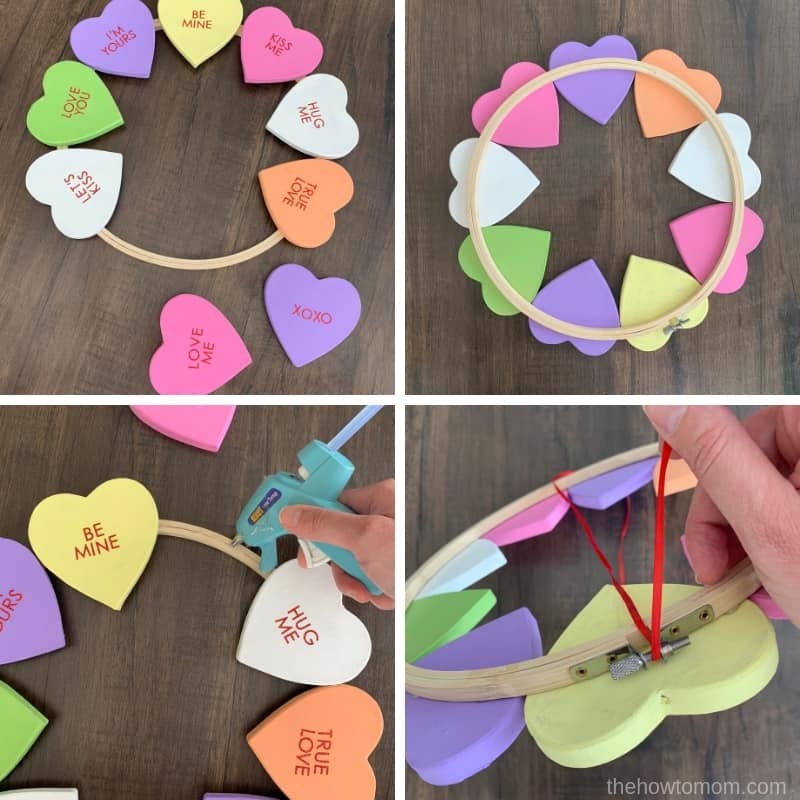 This easy and fun conversation heart wreath has the nostalgic colors and phrases you remember from the candy from your childhood! 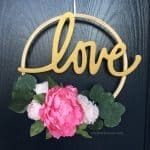 When I was putting together my Valentines Wreath round-up, I thought for sure someone somewhere had made a conversation heart wreath. 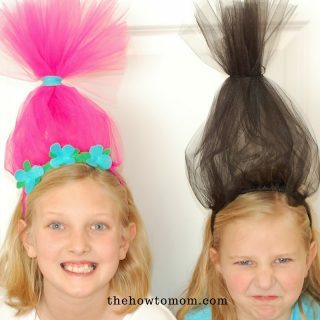 I searched Pinterest high and low for one like I was imagining, and found nothing! And my brain wouldn’t quit thinking about how to make one. 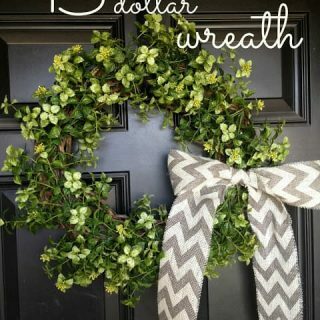 So, I gave in, because I’m a sucker for wreaths. I think it turned out really cute! I don’t have a Silhouette or Cricut (yet! 😉 But I’d love one! ), so figuring out how to do the lettering was kinda tricky. I thought about writing it with a red sharpie or paint marker, but doubted my abilities. 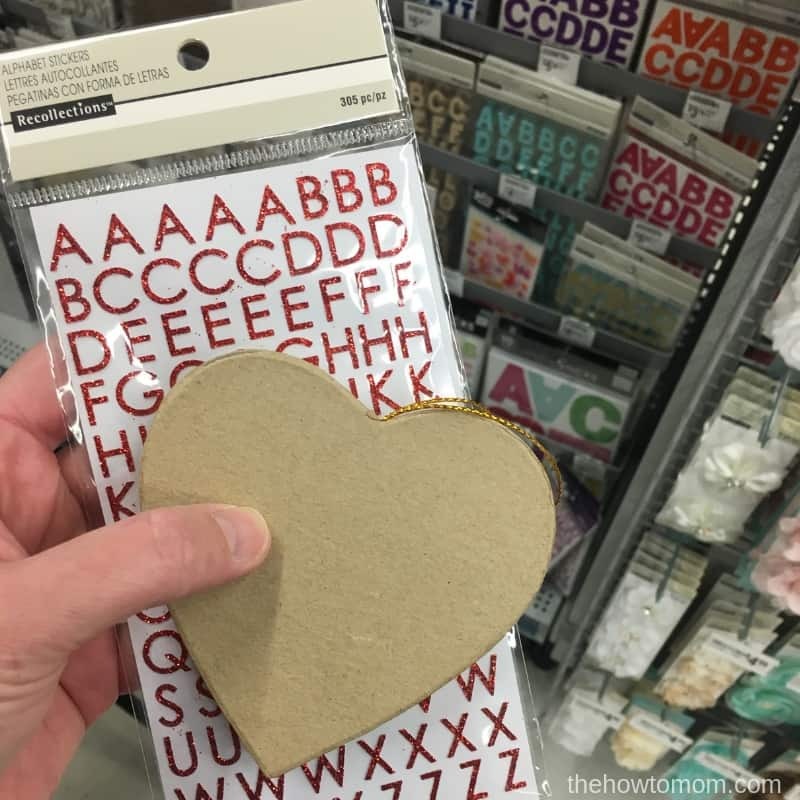 Then I spotted these glittery red alphabet stickers from Michaels and BING! This could work! It’s not a project for the OCD, because it miiiiiiight be impossible to get those letters perfectly straight, spaced and centered. But as my 11 year old daughter sweetly pointed out, “Real conversation hearts are always imperfect, mom!” She’s right. They’re wonky and its fine. 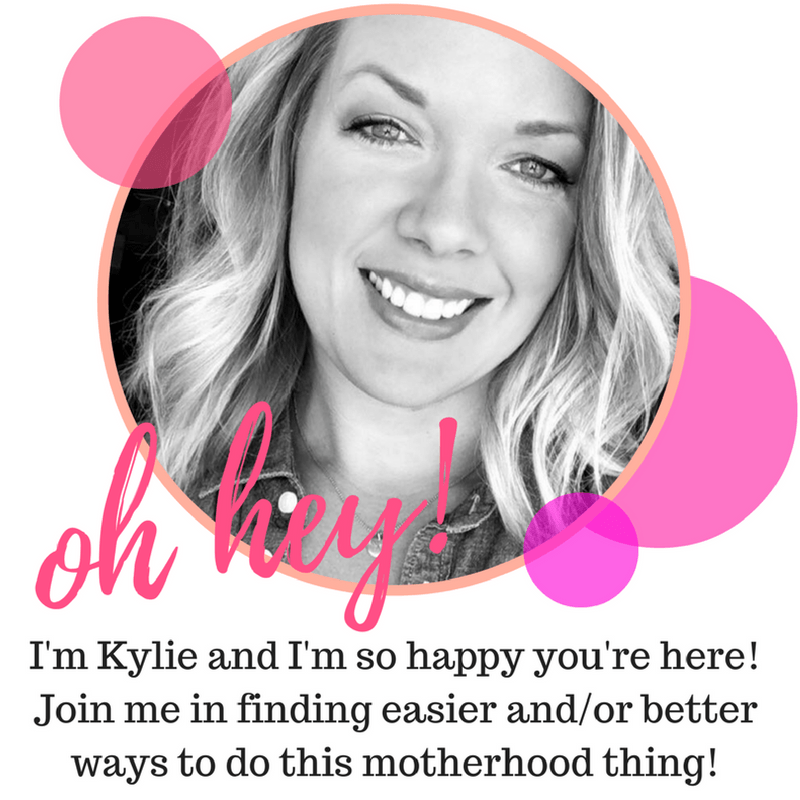 So if your perfectionism is flaring up, I’m sorry. 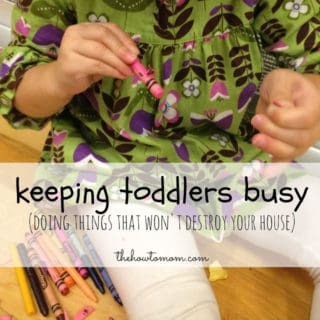 I’m a “get-er-done and move on” type of crafter. 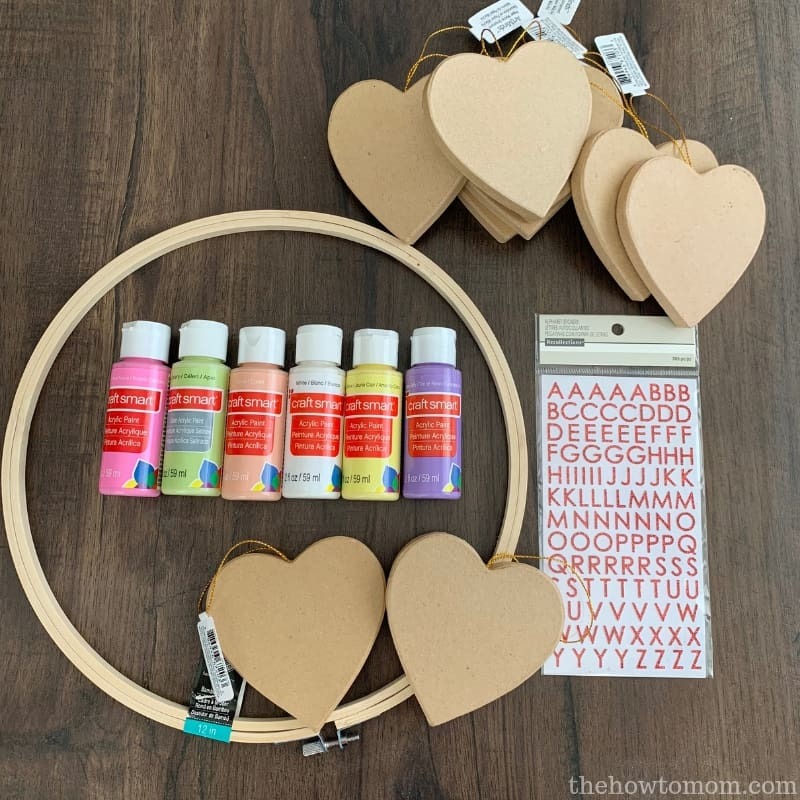 I wanted hearts with a little depth, though I considered using these thin wooden heart cutouts, which would probably be fine. But I thought something thicker would be better. If I had wood-saw skills, I could have also cut my own hearts with 2″ thick wood, but I don’t, so I didn’t. 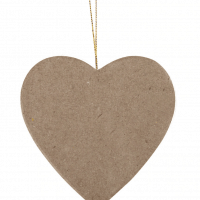 So when I saw these paper mache heart ornaments at Michaels, I knew they’d be perfect. I snipped off the string and voila! I used basic acrylic craft paint to paint the hearts. 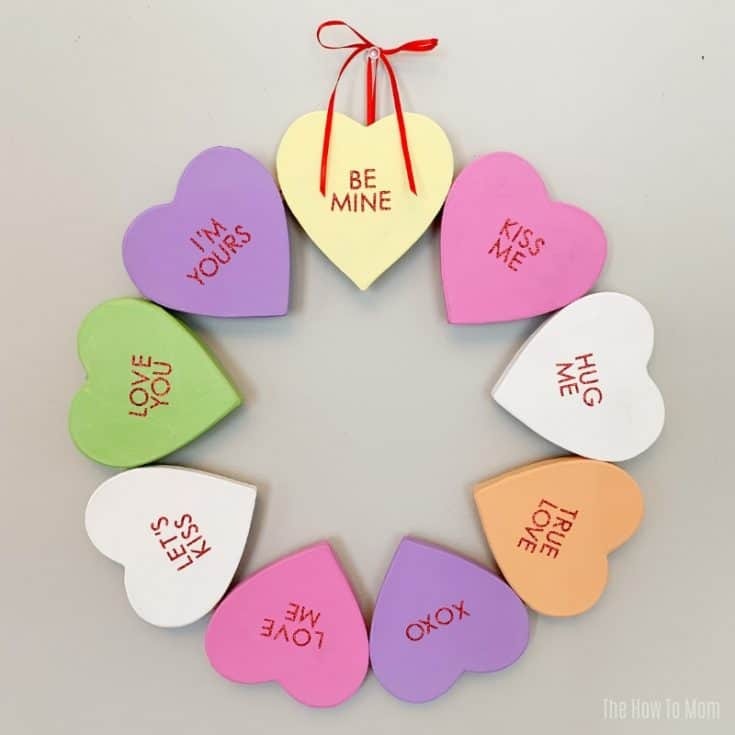 It was so fun to pick out the classic conversation heart colors. 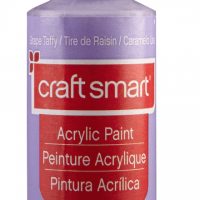 I like the Michaels brand of paints, and I used: pink blast, coral (with a little orange mixed in), light yellow, celery (with a little apple tart mixed in), grape taffy, and white. I used an embroidery hoop for the base and hot glue to attach the hearts to the hoop. To finish it off, I strung a simple ribbon through for a loop to hang it. One of the fun parts of this project was coming up with the conversation heart sayings. 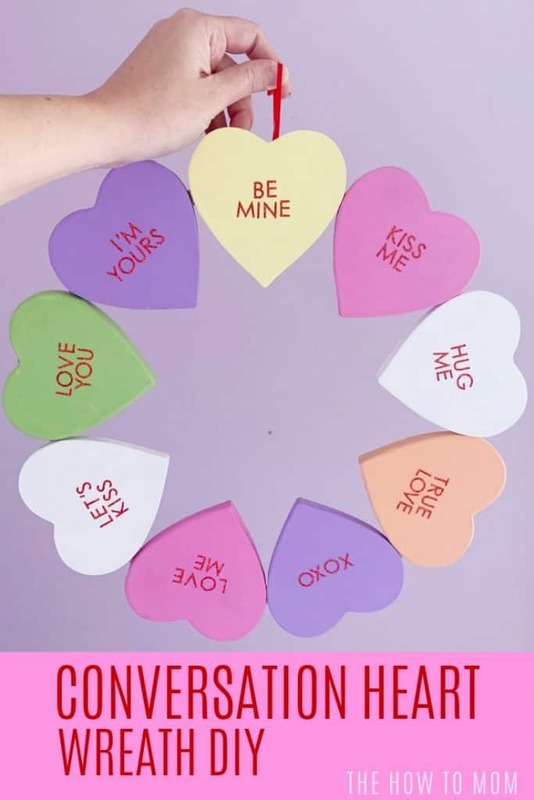 I went with the classics, but it might be fun to do a clever riff on conversation heart sayings, like phrases local to your area (“Love Y’all!”) or maybe snarky (“Hard Pass”) or on-trend (“Swipe Right”). 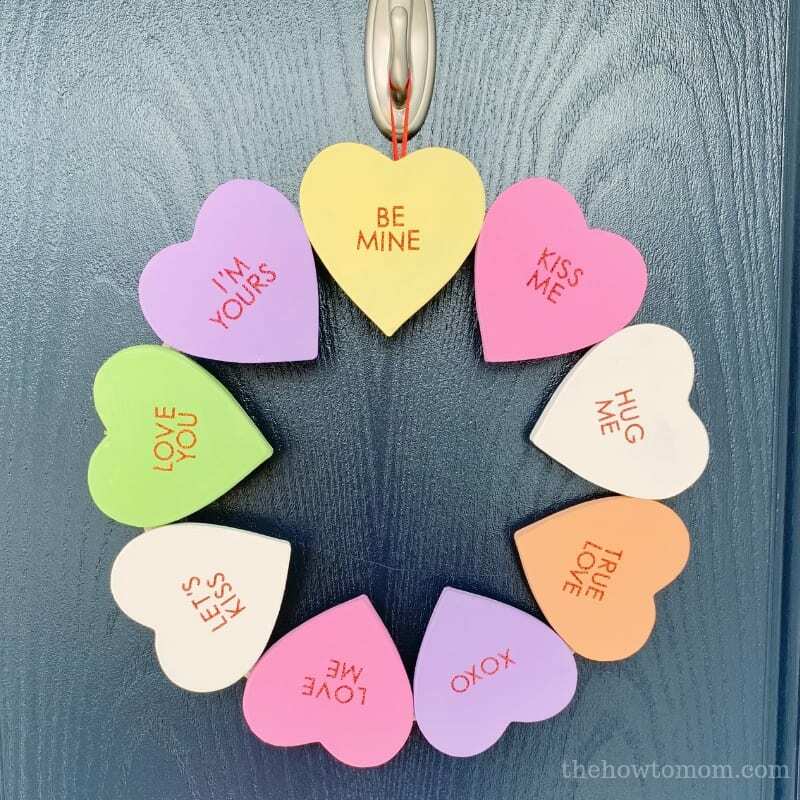 I also found this cute printable conversation heart garland, which looks like a fun and easy little project. 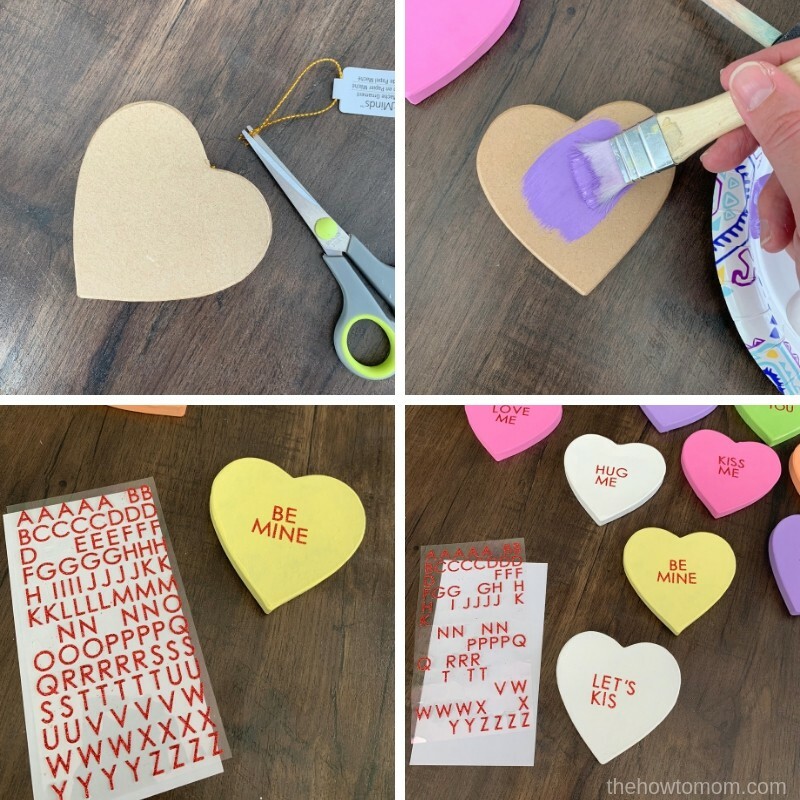 You can also check out my Valentines Crafts Pinterest board for more cute Valentines decorations. 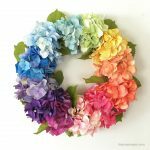 Ok, ready to make your own conversation heart wreath? Here we go! Cut string loops off of hearts. Snip as close to the heart as possible. Paint hearts and let dry. Two coats are best! Add phrases to hearts. 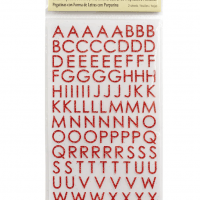 Use the capital letters from the red glittery alphabet stickers to create the sayings. See above for ideas on phrases. 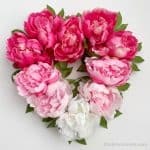 Don't stress if its not perfect, neither are real conversation hearts! 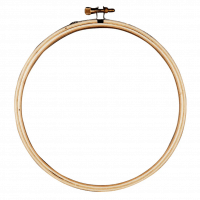 Glue hearts to embroidery hoop. 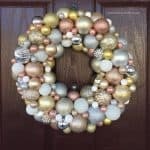 I placed them in the order I liked, and then turned the wreath upside down to glue it together. And then I went back and re-glued any hearts that were loose. 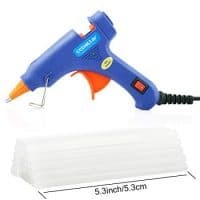 I think the stickers will be fine as is, but you could Mod Podge over the top if you want to seal them nicely. 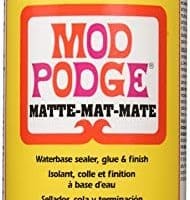 I'd use the matte Mod Podge, to keep the powdery finish of conversation hearts. The alphabet stickers were the easiest way for me to do the wording, but I'm sure a Cricut or Silhouette would be awesome for this! 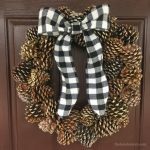 Check out my Valentines Wreath DIY Ideas for more darling heart wreaths! If you make one, I’d love to see it and tell you what a good job you did! 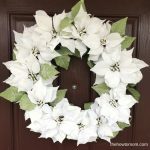 Tag #thehowtomomwreaths on IG. 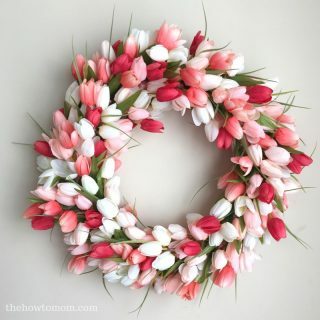 « Wreath Ideas for Valentines Day – Beautiful DIYs to make you Swoon!